Let's face it, you work for the best years of your life and spend most of your waking hours on the job, so make sure you are energized, fulfilled and buzzing. 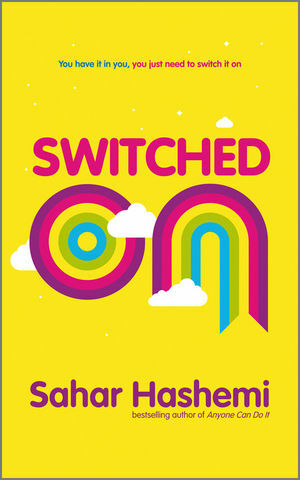 Switched On will help you leap outside your comfort zone and awaken your creativity. Switched On shows you how to think like an entrepreneur - have ideas, spot the opportunities, see the future and make things happen. The future belongs to fresh thinkers, so turn your receptors on and get ready to bring the real you to work. 'Not all of us can be great entrepreneurs but all of us can be innovative and enterprising in whatever role we perform. This book is a great guide and an inspiration on how to achieve this' Miles Templeman, Director General, Institute of Directors. Sahar Hashemi is author of the bestselling business book Anyone Can Do It: Building Coffee Republic from Our Kitchen Table. Abandoning a successful career as a lawyer, Hashemi founded the UK’s first US style coffee bar chain and went on to build it into one of the UK’s most recognised high-street brands with a turnover of £30m. Since selling the company Hashemi has gone on to become a hit on the speaking circuit. Originally speaking at entrepreneurial and business start-up events, it soon became apparent that her experiences could motivate employees in larger corporations and organisations. She now speaks at around 70 events a year worldwide to companies including IKEA, Infosys, Accenture, GlaxoSmithKline, Microsoft and IBM. Named by H.M. The Queen 'Pioneer to the life of the Nation' and the World Economic Forum Davos as 'Young Global Leader', Hashemi has been listed in: 100 Most Influential Women in Britain; Daily MailTop 35 Women in British business under 35; Management Today20 most powerful women in Britain. Habit 2 Putting Yourself in Your Customers' Shoes.